Remember when I said “more to come” during my flannel photo shoot? Well, here it is. My lovely photographer that day also made quite a gorgeous model. 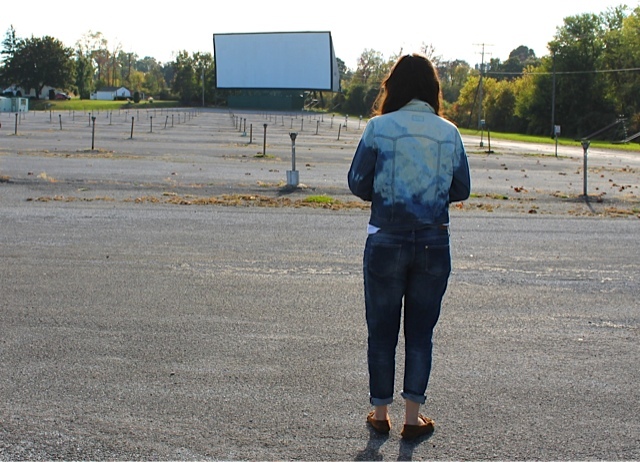 One of the trends I loved this summer was denim. Cut-off denim shorts, studded denim, trendy denim overalls, cut-off denim vests, dip-dyed and bleached denim… you get the picture. Anyways, why stop there? 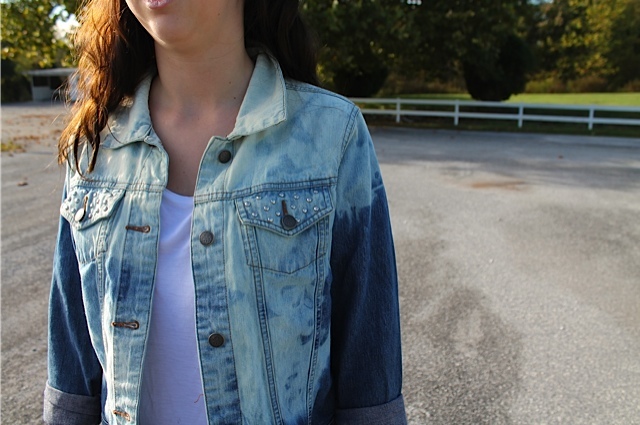 The weather is getting cooler but you can still rock a denim on denim look! You can keep it cool and simple by pairing comfy boyfriend jeans (any jean cut will do but slouchy boyfriend cuts are perfect for those fall days when you want to look great with minimal effort) with your favorite white tee and a denim shirt or jacket. Embellished denim shirts are great but if yours is just plain, layer lots of necklaces or your favorite jewelry pieces to add your own personal twist. It also creates an intriguing focal point to your outfit. I’ll let you in on a little secret…. Tierney upcycled the denim shirt she’s wearing here. Her and I both love finding good deals and many of our shopping trips end up in thrift stores. Finding great frames to thrift store clothes is key because, ultimately, you can make it into whatever you want. 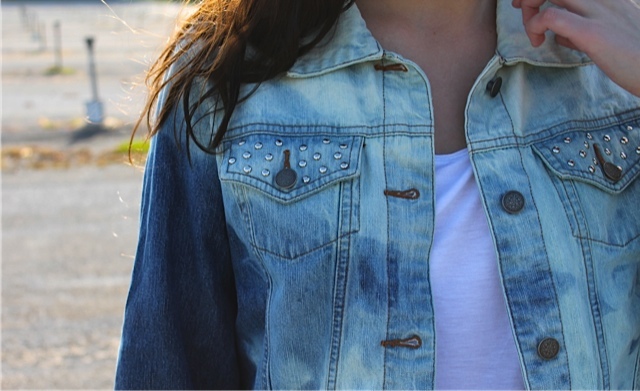 For this particular piece she dip-dyed and bleached the jacket and then embellished the front pockets with round silver studs. Doesn’t it look great? See more of her pieces here and maybe you’ll find something you like! Scratch that, you’ll definitely find something you like. P.S. 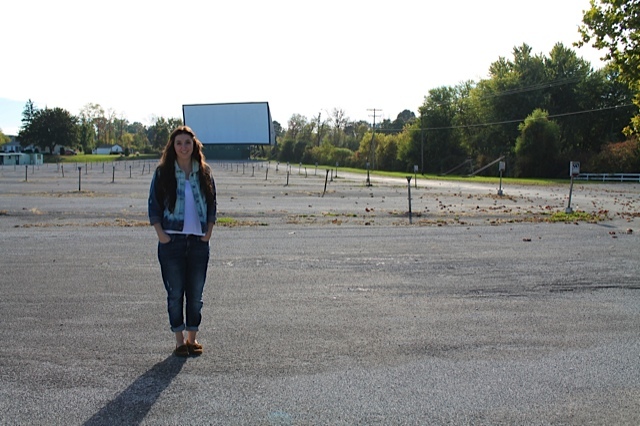 Old drive-in movie theaters make for awesome photo opportunities! Don’t you think?